As Booz Allen Hamilton’s chief innovation officer, Susan Penfield’s charge is to advance the firm on its innovation journey. This year, the firm focuses on building out and maturing a solutions business — a portfolio of repeatable solutions that incorporates leading-edge technologies, creates unique positioning and market differentiation and is accessed through different business models and sales channels to help solve clients’ most complex mission challenges. Booz Allen successfully launched two solutions and is incubating and maturing multiple others. District Defend is a location-aware secure mobility solution, in partnership with Dell, and Recreation.gov is a one-stop platform for visitors to dream, plan and share their outdoor adventures on federal lands and waters and changes how citizens interact with and access government resources. “I’m also proud of our achievement institutionalizing a culture of innovation at the firm,” Penfield said. It’s been a 6-year journey, she says, starting with the 2013 creation of the firm’s Strategic Innovation Group. “Today, we have unlocked in our talent an innovative and entrepreneurial spirit determined to make the world a better place and support our clients’ critical mission challenges,” she added. Booz Allen has designed and opened innovation workspaces that foster the free-flowing exchange of ideas. It has also cultivated technology partnerships and enhanced its brand and reputation as an innovative technology leader and go-to partner for technical services and transformation in the federal market. A top challenge Penfield faces in her role is moving the firm to become ever-more technical and diversifying its portfolio with non-labor-based businesses. The firm has made a strong push to “upskill” its talent with the tools and skills of tomorrow. That takes place in myriad ways — from the innovative FlexEd program where employees can enroll in external trainings and certifications that excite and challenge them, to the Data Science 5k Challenge where business analysts and general management consultants are “leveled-up” to become data scientists, to the Deep Learning Institute partnership with NVIDIA, where analytics talent and clients are trained on advanced AI and machine learning techniques. Booz Allen also hosts hackathons that engage its talent, ecosystem partners and clients in experiential technical learning. The annual Data Science Bowl, the largest public hackathon for social good, is a marquee competition for socially conscience technologists worldwide. In addition to positioning the firm’s own talent for the work of the future, these programs have the added benefit of helping advance its clients up the maturity curve of technology adoption and helping them access leading-edge technological tools and services in new and different ways. Another major technology area is advanced cyber defense and threat hunting. Many people don’t know that Booz Allen is actually the largest provider of cybersecurity solutions and services in North America. Recently, the firm won $1.6 billion in contracts in support of the Department of Homeland Security on the Continuous Diagnostics and Mitigation program. Through CDM, Booz Allen now protects close to 80 percent of dot-gov sites. A third major technology area Booz Allen leads in is modern software design — particularly helping the federal government create more responsive platforms that meet the demands of today’s digital citizen. Its modernized Recreation.gov solution, for example, has become the model for how the government incorporates human-centered design, agile development, cognitive/cloud technologies, and secure DevOps to transform user experiences. 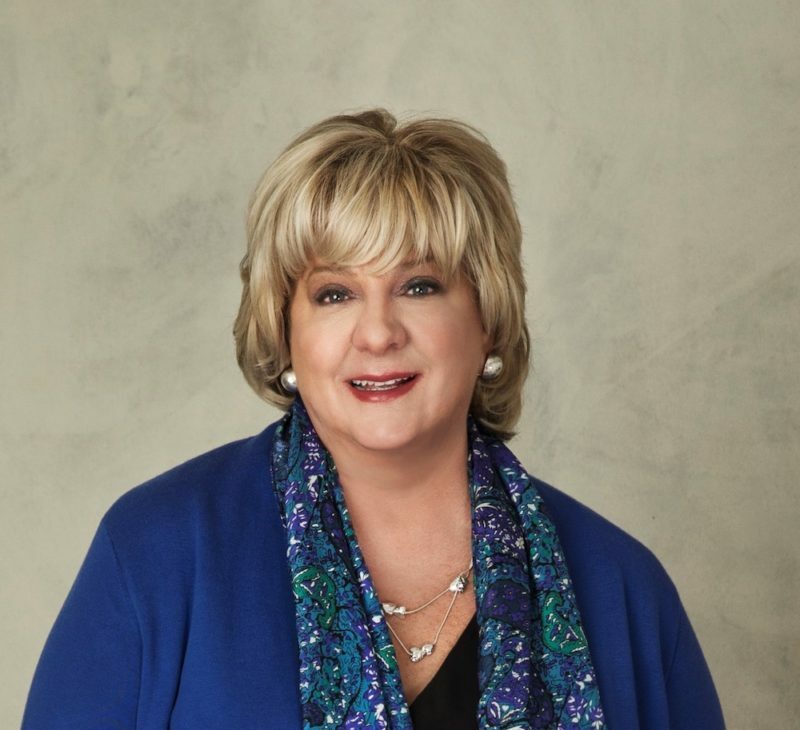 Penfield said she’ll focus even more on these unique partnerships within the innovation ecosystem and telling the stories of how its collaboration has created new ways to move the needle in this industry and advance Booz Allen’s clients’ toughest mission challenges. Moving forward, Booz Allen’s innovation journey is about realizing the additional option value inherent in its emerging businesses and ideas. In addition to scaling its functional differentiation, the firm is developing and monetizing breakthrough solutions in the areas of digital transformation, AI, advanced cyber, and augmented and virtual reality that will accelerate the firm’s growth and performance and drive higher value for its clients. “That’s my primary focus in the year to come,” Penfield said.